Mr Costelloe was recognised for his environmental efforts at the resort including repurposing leftover timber from a pool deck refurbishment to build screens in the resort dining room, along with a bird-viewing platform. He has also set up a native nursery onsite and implemented a food waste recycling program. To recognise his efforts, Mr Costelloe will have a native rainforest tree planted in his honour in Gunung Leuser National Park in North Sumatra, Indonesia. The park is one of two remaining habitats for Sumatran orang-utans. Ramada Seven Mile Beach is an eco-inspired resort located right opposite Seven Mile Beach. Situated in a bushland setting, the resort features native gardens, resident wallabies and expansive grounds that reflect the rugged beauty of southern Tasmania. Wyndham Resort Denarau Island was named Fiji’s Best Deluxe Accommodation at the ANZ Fiji Excellence in Tourism Awards Gala Ceremony last month. The awards celebrate those who have made “exceptional contributions” to tourism in Fiji during 2018. Staff and guests at Ramada Resort by Wyndham Coffs Harbour came together and opened their wallets to raise much-needed funds for Australian charity, HeartKids. An event in February at the resort raised AU$345, which went towards supporting children, teens and adults with congenital heart disease, as well as funding medical research and advocating for families’ needs. Quality Assurance Representative Michael Sallustio spearheaded the fundraiser for HeartKids, after a successful Valentine’s Day appeal last year. In 2017, Michael’s nephew, Remi, was diagnosed with congenital heart disease and tragically died seven days after birth. Seeing how his family battled with the incurable condition, Michael was inspired to take action and support other families. Ramada Coffs Harbour raised funds through an afternoon drinks event with guests and collection tins at reception. Wyndham Destinations Asia Pacific was recognised with Best Place to Work, Best Legal Team and Best New Resort Development at the annual Perspective Magazine Awards at the GNEX conference in the Bahamas last month. The awards program is the only global recognition platform in the vacation ownership industry that is judged by both a panel of experts and industry peers. In addition to the Best Place to Work nod, it is the second consecutive year that the company’s legal and compliance team has been recognised with the Best Legal Team award. The Best New Resort Development title went to the company’s new resort in Bali, Indonesia, Wyndham Resort Dreamland Bali. 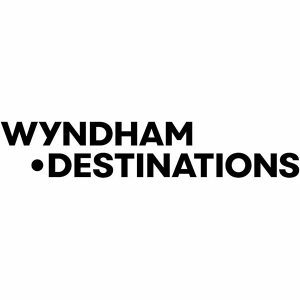 Wyndham Destinations Asia Pacific develops and manages resorts on behalf of Wyndham’s two Asia Pacific vacation clubs, Worldmark South Pacific Club and CLUB WYNDHAM ASIA. 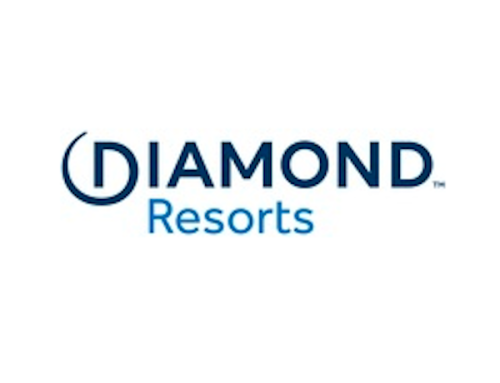 The company has over 45 managed hotels and resorts in its portfolio across Asia Pacific under the Wyndham, Wyndham Grand, Wyndham Garden, TRYP by Wyndham, Ramada by Wyndham and Days Inn by Wyndham brands. Ramada Resort by Wyndham Flynns Beach – part of leading timeshare club, WorldMark South Pacific Club – is undergoing an expansion which will double the resort’s room inventory. The development will expand the popular resort by 53 one, two, three and four-bedroom villas with a mix of deluxe, grand and presidential suites. The development will also include a new café, gym, games area, kids’ pool, common area pavilions and car parking, while the reception area will be relocated to the front of the property adjacent to the driveway. Works at the property have started and will be split into five stages, with an anticipated completion date of Q3 in 2020. Ramada Flynns Beach is located on the Mid North Coast of New South Wales, just a one-hour flight or four-hour drive from Sydney. It is a family friendly resort, close to the town’s dining, shopping, and entertainment precincts, offering excellent family holiday facilities. The five-star Wyndham Grand Kalim Bay is one of the 34 resorts and hotels that were carefully selected to grace the pages of the Michelin Guide under the accommodation category, which can be viewed at guide.michelin.com. The guide compliments the resort’s pool suites and villas that offer breathtaking ocean views, floor-to-ceiling windows and sleek modern bathrooms. It also recommends Wyndham Grand Kalim Bay’s grand floating breakfast served in a private pool villa.